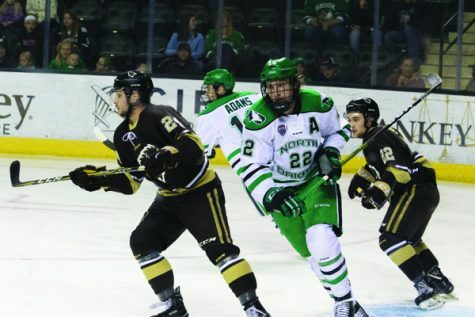 After a 27 day hiatus from the Ralph Engelstad Arena, the University of North Dakota Men’s hockey team welcomed the reigning NCAA National Champions the Minnesota-Duluth Bulldogs. “It was the start we wanted and it carried over for the rest of the game. I know they got one right after, but I thought our guys did a pretty good job of getting back on the rails,” Head Coach Brad Berry said. 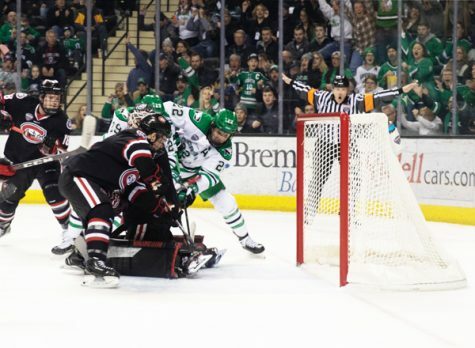 UND was able to find the back of the net early and often to start the game. Freshmen forward, Mark Senden, kicked off the scoring just 44 seconds into the game. Senden capitalized on his chance, taking a shot from the corner on the goal line, ricocheting off UMD goalie Hunter Shepard. 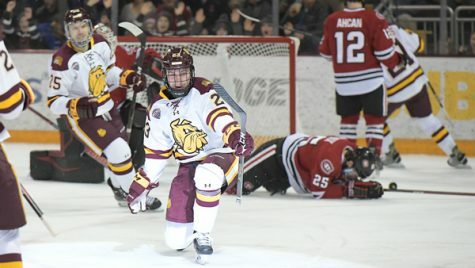 Within a minute, UMD responded with a goal of their own. However, UND managed to maintain focus and morale into the next shift. Senior defensemen, Hayden Shaw, joined fellow senior, Rhett Gardner, on a short-handed two-on-one. Shaw buried his third of the season off a cross-crease pass from Gardner to make it 2-1 just over halfway through the first period. Junior forward, Casey Johnson, gave UND a commanding 3-1 lead just over 13 minutes into the first period. Johnson found the back of the net, using his leg for his second goal of the season. 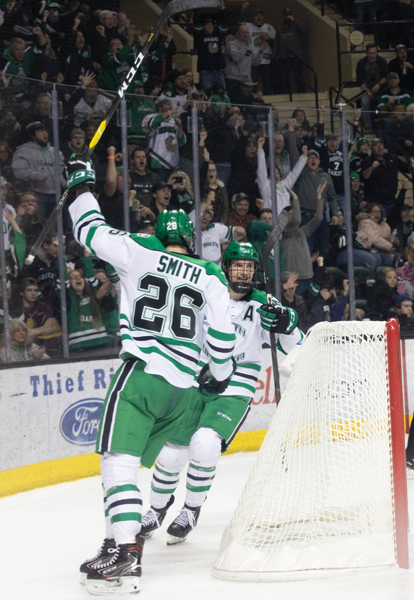 UND capped the game off with an empty net goal from junior forward Cole Smith. Sophomore goalie, Peter Thome, made 21 saves in his first start since Nov. 30 in Duluth. Thome came into the game a little nervous, but settled back into the groove as the game went on. 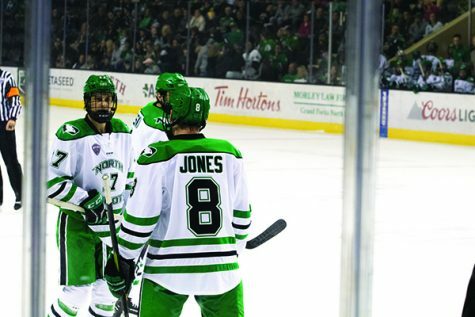 After a much needed victory, UND would look to add another game in the win column. This time, thanks to penalties, UND would go down early to start the game. Just over three minutes into the game, Duluth capitalized on a 5-on-3 power play and silenced the rowdy crowd. “They came out with some jump. I didn’t mind their start, but they came out a bit more grindy than we were, and that’s our game. We’ve got to outwork teams this time of the year to try to get results,” Poolman said. 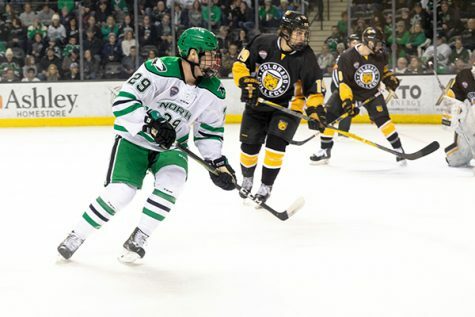 UND would strike back five minutes later on a power play of their own. Captain Colton Poolman, channeled his offensive abilities and used a variation of a spin-o-rama to find the back of the net. UMD added another pair of goals, one coming on another 5-on-3 power play. Late in the second period, freshmen forward, Gavin Hain, sniped one in the corner from the high slot on a delayed penalty to cut the lead down to one. Unfortunately for UND, they would not capitalize on the following power play, or on any chances in the third period. 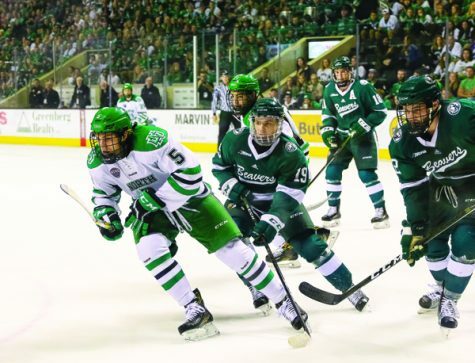 North Dakota came up short in game two, losing 3-2 and splitting the series overall. 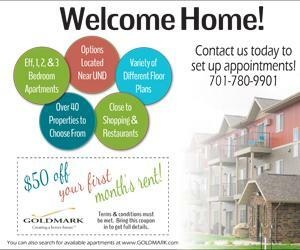 UND moved up to No. 18 in the Pairwise Rankings with the split series. 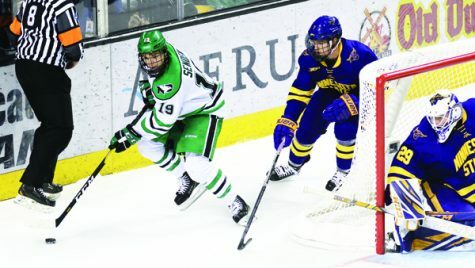 UND will look to sweep the next two series. The first coming on the road against Colorado College, then finishing up the regular season at home when Omaha comes to town.